J Clin Periodontol. 2010 Dec;37(12):1088-99; doi: 10.1111/j.1600-051X.2010.01597.x. 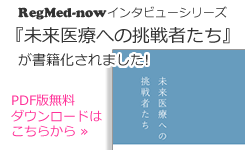 Copyright (C) 2014 東京女子医科大学 グローバルCOE「再生医療本格化のための集学的教育研究拠点」. All Rights Reserved.